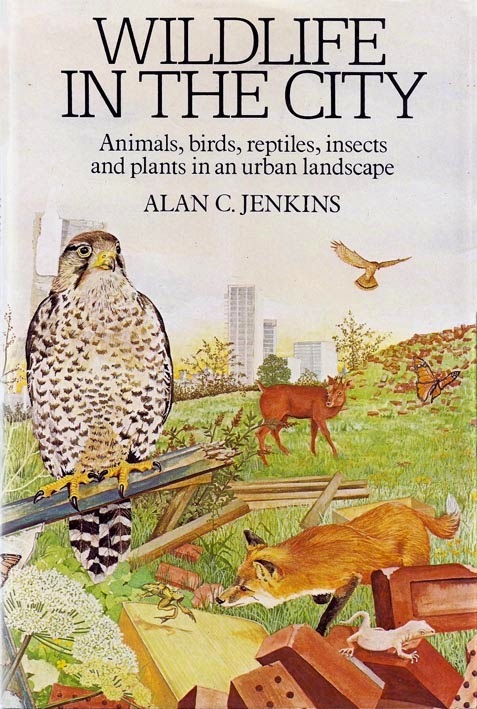 Alan C. Jenkins was the author of seven stories in Look and Learn in 1967, a minor contribution from a prolific nature writer. Born Alan Charles Jenkins in Woodford, Essex, on 2 July 1912 (although he later claimed in The Author's and Writer's Who's Who it was 1914), and was educated at King Edward VI School. He served with the R.N.V.R. during the Second World War but was otherwise a writer and editor his whole career. His earliest known writing was "Tales of Hatchetty Hollow", a 5-part series of children's stories broadcast on the radio in 1934. He contributed heavily to The Boy's Own Paper for over nearly thirty years and was their regular book reviewer in the late 1950s, although he continued to write stories for the paper under the name John Bancroft. He also wrote for adults, his stories appearing in Blackwood's, The Countryman and through the Central Office of Information. 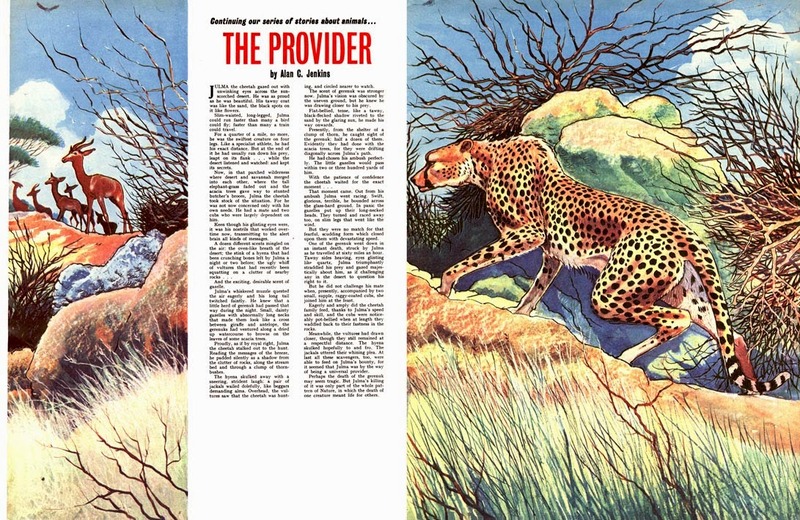 Jenkins was a regular contributor to magazines and newspapers on the subject of nature and was a member of the Zoological Society, the Fauna Preservation Society, the Mammal Society and The Royal Society for the Protection of Birds. Jenkins lived for many years at Pear Trees, Belstone, Okehampton, Devon, where he died in 1996, aged 83. He was survived by his wife, Nancy Letitia Whitaker Bovill (who died in 2011, aged 96), and two step-children from her previous marriage to Lt. R. J. O. O'Neill-Roe, RN, Susan and Siano. A Ship for Nelson. London, Lutterworth Press, 1952. The Reindeer Twins, illus. Ruth Murrell. 1957. Lasso of the North, illus. Ruth Murrell. 1958. Ponies for Sale, illus. Will Nickless. 1958. White Horses and Black Bulls, illus. Victor G. Ambrus. London, Blackie, 1960. The Twins of Lapland, illus. Christopher Brooker. London, Jonathan Cape, 1960. Guardian of Honour (as John Bancroft), illus. Grace Huxtable. London, Macmillan, 1961; New York, St. Martin's Press, 1961. The Ring of Truth (as John Bancroft), illus. Grace Huxtable. London, Macmillan, 1962; New York, St. Martin's Press, 1962. Kingdom of the Elephants, illus. Victor G. Ambrus. 1963. Paulo and the Wolf, illus. Margery Gill. Edinburgh, Oliver & Boyd, 1963. The Borodin Affair (as John Bancroft). London, Epworth Press, 1966. Wild Swans at Suvanto, illus. Robert Frankenberg. Norton, 1965; London, Hart Davis, 1966. Storm Over the Blue Hills, illus. Victor G. Ambrus. London, Oliver & Boyd, 1966. White Meg's Magic, illus. Peter Warner. London, H. Hamilton, 1967. The Moon in His Pocket, illus. Barry Wilkinson. London, Oliver & Boyd, 1967 . The Magic Bullet, illus. Peter Warner. London. H. Hamilton, 1968. Race for Life, illus. Malcolm Hargreaves. London, Hamilton, 1969. Ship of Fire, illus. Graham Humphreys. London, Hamilton, 1969. Ice at Midsummer, illus. Graham Humphreys. London, Hamilton, 1970. Shadow of the Deer, illus. Peter Warner. London, Chatto, Boyd & Oliver, 1970. Night of the Lantern, illus. Richard Scollins. London, Hamilton, 1973. Aslak the hunter, illus. Richard Kennedy. London, Abelard-Schuman/Sadler, 1975. The Man Who Rode a Tiger. An Indian folk-story, illus. Gareth Floyd. London, Hamilton, 1975. The Winter-Sleeper, illus. Graham Humphreys. London, Hamilton, 1977. The Ghost Elephant. An African story, illus. Nelda Prins. Harmondsworth, Puffin, 1981. Between the Two Twilights. Tales of woodland, moor and stream. London, John Murray, 1937. Dear Olga. Letters from Russia. London, John Lane, 1947. Introducing Horses. London, Spring Books, 1959. Introducing Cats. London, Spring Books, 1959. Introducing Baby Animals. London, Spring Books, 1960. Introducing Pets. London, Spring Books, 1960. The Viscount Concise Dictionary. London, Spring Books, 1960. Pirates and Highwaymen, illus. Virginia Smith. Edinburgh, Oliver & Boyd (Signpost Library 1), 1962. The Good Spelling Dictionary. London, Spring Books, 1964; as The Daily Mirror Pocket Dictionary. London, Daily Mirror, 1967. Sport, illus. Virginia Smith. Edinburgh, Oliver & Boyd (Signpost Library 8), 1964. Animals of History, illus. Romain Simon. Edinburgh, Oliver & Boyd, 1965. The Golden Band. Holland's fight against the sea. London, Methuen, 1966; Coward-McCann, c.1966. The Silver Haul. Trawling and deep-sea fishing. London, Methuen, 1967. 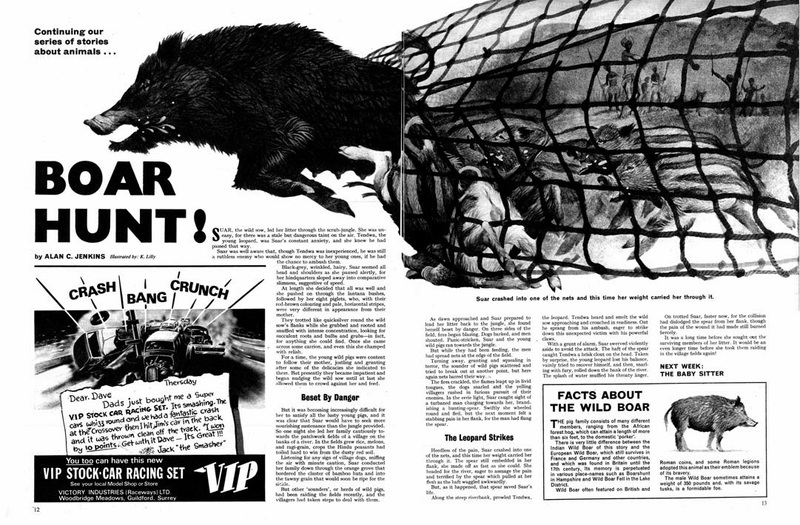 Wild Encounters, illus. Gavin Rowe. London, Chatto, Boyd & Oliver, 1971. Circuses Through the Ages, illus. Mark Peppe. London, Chatto, Boyd & Oliver, 1972. Wild Life in Danger. London, Methuen, 1973. Markets Through the Ages, illus. Michael Jackson. London, Chatto & Windus, 1974. Searchlight of Archaeology (translated and adapted from Kreuzwortratsel der Geschichte by Werner Illing, Esslingen, J. F. Schreiber, 1973). Glasgow, Blackie, 1975. Great Discoveries (translated and adapted from Kreuzwortratsel der Geschichte by Werner Illing, Esslingen, J. F. Schreiber, 1973). Glasgow, Blackie, 1975. Journeys into the Unknown (translated and adapted from Entdeckungsreisen ins Ungewisse by Werner Illing, Esslingen, J. F. Schreiber, 1973). Glasgow, Blackie, 1975. The Struggle for the North and South Poles (translated and adapted from Der Kampf um Nordpol und Sudpol by Werner Illing, Esslingen, J. F. Schreiber, 1973). Glasgow, Blackie, 1975. A Wealth of Trees. Forestry and the use of timber. London, Methuen, 1975. World of Ghosts, illus. Virginia Smith. London, Chatto & Windus, 1976. The Naturalists: Pioneers of Natural History. London, Hamish Hamilton, 1978; New York, Mayflower Books, 1978. Wild Animals. London, Albany Books, 1979. A Countryman's Year, illus. Peter Barrett. Execer, Webb & Bower, 1980. Secrets of Nature, illus. Helen Cherry. Sevenoaks, Knight, 1981. A Village Year. Exeter, Webb & Bower, 1981. Wildlife in the City. Animals, birds, reptiles, insects and plants in an urban landscape. Exeter, Webb & Bower, 1982. Mysteries of Nature. Exeter, Webb & Bower, 1983. The Country Diary Nature Notes, with Edith Holden. Exeter, Webb & Bower, 1984. A. R. Quinton's England. A portrait of rural life at the turn of the century. Exeter, Webb & Bower, 1987. Thin Air. An anthology of ghost stories. London, Blackie, 1966. Animal Stories. London, Blackie, 1967. Escape! An anthology of action stories. London, Blackie, 1968. Spy! An anthology of espionage stories. London, Blackie, 1969. Mystery. An anthology of baffling stories. London, Blackie, 1970. Ghosts. An anthology of spectral stories. London, Blackie, 1971. Eye-Witness. A unique collection of first-hand accounts. London, Blackie, 1972. Nature Quest. An anothology of wild life stories. London, Blackie, 1972. Dangers Unlimited. Stories of man against nature. London, Blackie, 1973. Exploration Earth. Unforgettable journeys of discovery. London, Blackie, 1973. Journeys into Danger. The lure of the unknown. London, Blackie, 1973. The Sporting Life. London, Blackie, 1974. Treasure! An anthology. Glasgow, Blackie, 1974. Skyriders. Man's conquest of the air. Glasgow, Blackie, 1975. The Prodigal Earth. The heritage of the land: an anthology. Glasgow, Blackie, 1976.